Get away from the concrete jungle and connect with nature at Coney Island Park. Here, 50 hectares of wildlife haven lie along a 2.4km trail, which is easily accessible via a rented bicycle from Punggol Settlement just 500m away. The trail is also short enough for a leisurely walk if you prefer. Relax on the rustic beaches or go birdwatching at the three specially built bird hides; you may even spot the free-roaming lone bull who is apparently a permanent resident of the island now. Note: There are no amenities except for a toilet at the eastern end of the island. Bring your own water as there are no shops or vending machines. 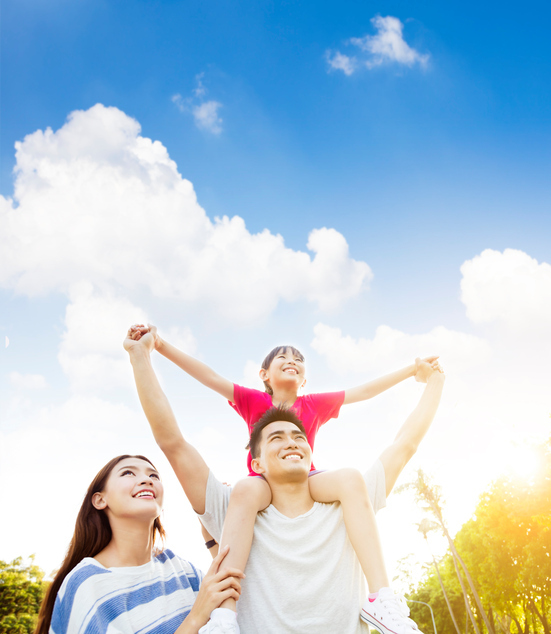 Wear pants and covered shoes, and put on plenty of insect repellent to protect yourself from the sandflies in the area. 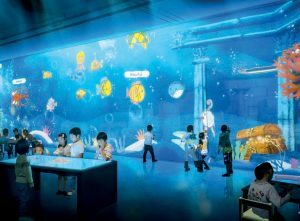 Let your imagination take flight at MOSH, a multimedia centre where technology meets entertainment. You can create your own imaginary worlds and see your artwork come to life. Design any marine creature and watch them swim in a projected ‘ocean’ (pictured below), trigger fireworks with your dance moves, launch a jumbo jet from your hand, and more! Everyone’s an artist here. There are five zones for you to explore – have fun! Love horsing around? Get up close and personal with these handsome creatures at Horsecity. 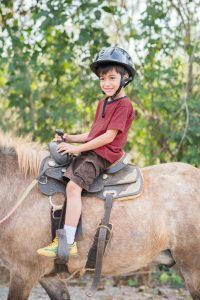 The little ones will enjoy three rounds of guided pony ride in the grass tracks. The relaxing rides are available on weekends for children three years and older, and under 40kg in weight. After saddling up, visit the resident donkey and feed the cute mammal with chopped carrots. Defying gravity sounds like a tall order, but not if you’re at AMPED Trampoline Park. 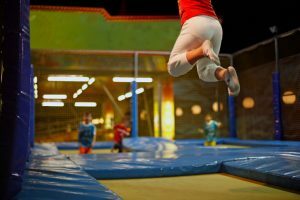 With 5,000sqft of interconnected trampolines, this facility lets you bounce as high as you can as if gravity’s non-existent. You can also test your balance by traversing some slacklines on top of foam pits, and perfect your slam dunks by playing a bouncy version of basketball. Definitely a fun place for kids, this is also good for mum and dad to burn those calories and get in shape.